Flooding is a common occurrence in Toledo, Ohio, because of several factors. For starters, the city is built on former swamp land. The highly urbanized city is also covered with impervious surfaces, increasing stormwater runoff during rain events. As the climate changes, frustrated Toledo residents see even more flooding, with a potential increase in storm intensity and frequency. Stormwater and planning practitioners from the City of Toledo and Lucas County formed a task force to share ideas with local constituents and create a plan for flood reduction through the implementation of green infrastructure. 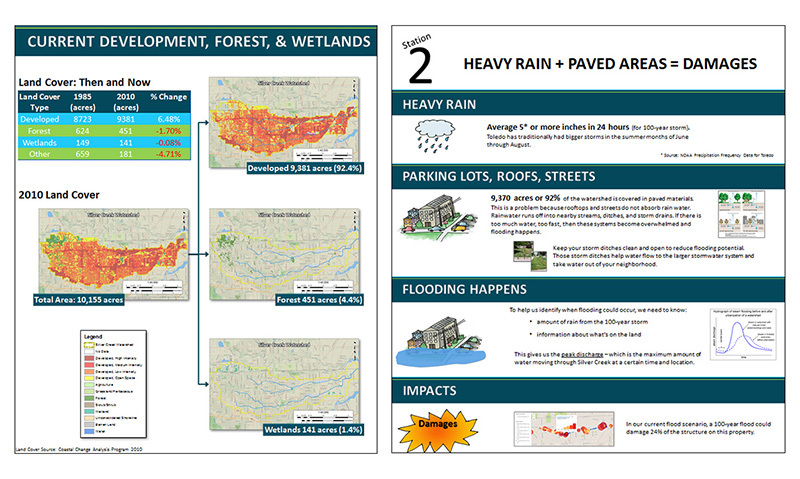 To engage constituents, the task force used storyboards explaining the area’s flooding issues and the costs and benefits of using green infrastructure to reduce flooding. 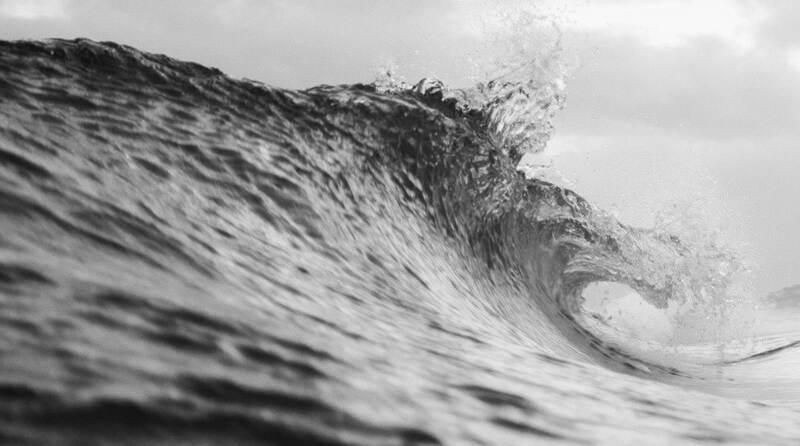 The storyboards were created from a recent study conducted by NOAA’s Office for Coastal Management and presented the technical details in a visual and comprehensible manner. The ability to see the potential impacts from flooding, and to learn how impacts can be reduced using green infrastructure, proved a powerful aid for constituents. The storyboards also drew attention to current projects and existing resources, such as the Toledo – Lucas County Rain Garden Initiative, which helps residents and businesses identify ways they can use green infrastructure. The effort interested several businesses in conducting assessments to determine how green infrastructure could be used to reduce stormwater runoff on their properties. Access the storyboards used in Toledo and modify them for your own outreach purposes.